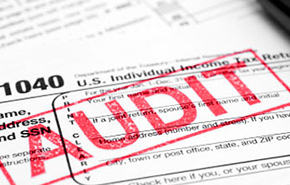 IRS audited a financial services professional. The government discovered there was additional, misreported income, and considered examining future years. Because a substantial amount of business income was misreported, there was a finding of over $250,000 in additional IRS federal tax, penalty and interest, for multiple years. IRS collection began immediately thereafter. The back taxes were assigned to IRS’s Large Dollar Unit for collection. The name indicates the part of IRS Collections that handles larger cases. But this added tax debt, even with representation from an experienced IRS tax attorney, still threatened to close the business, which was already struggling to grow. At first the clients wanted to aggressively pay off the debt, but found such a payment to be unaffordable. The clients and I took a long-term plan to handling this tax debt. We considered the options of temporarily making an affordable payment to IRS, and later seeking complete discharge in Chapter 7 bankruptcy. 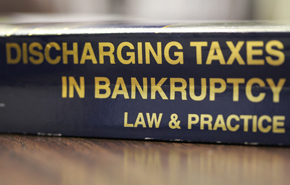 Under the U.S. Bankruptcy Code, income taxes can be fully dischargeable in bankruptcy. There are several tests of fairness, which govern whether the tax is eligible to be considered for discharge. Under Title 11 U.S. Code, Sections 523 and 507, the U.S. Bankruptcy Code identifies in what cases income taxes are dischargeable. We applied these standard tests to the clients’ situation, and determined that there was opportunity. Additionally, federal and state tax liens, the clients’ tax return filing history, and their other previous steps taken to resolve the tax all become details that we considered. The issue of IRS’s Federal Tax Lien, and how would it attach to the clients’ real estate was a major problem. We also sought the opportunity to avoid the tax liens, and keep the real estate. However, we also had to determine whether that choice would be financially sensible. Other challenges concerned the business, and whether it could survive bankruptcy? Because the clients’ personal and business credit would be adversely affected, we had to plan how to minimize any impact of bankruptcy. Fortunately, the clients patiently followed my instructions. We were able to plan a Chapter 7 filing to eliminate the tax, retain their real estate, and accomplish other much needed goals. 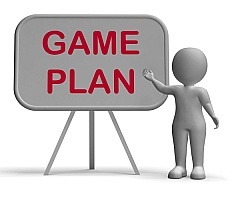 We also determined that the best action would be to plan to use the bankruptcy transaction to boost the business’s credit and financial strength. This was a three-year project, in which I was able to help the business owner discharge well over $250,000 in IRS tax, interest, and penalty. Also, the Illinois state tax was relieved, nearly another $60,000, plus state penalties and interest. In all, the tax-related debt discharged was over $325,000. The clients maintained their home for years. Their home-based business office survived the bankruptcy, and is growing. And since we structured the bankruptcy to boost their credit, their FICO scores are better than the clients have seen in years. Now that nearly a third of a million dollars of IRS tax was discharged in bankruptcy, the clients are out of IRS trouble. Email your Naperville IRS tax attorney if you have questions. We will try to help.